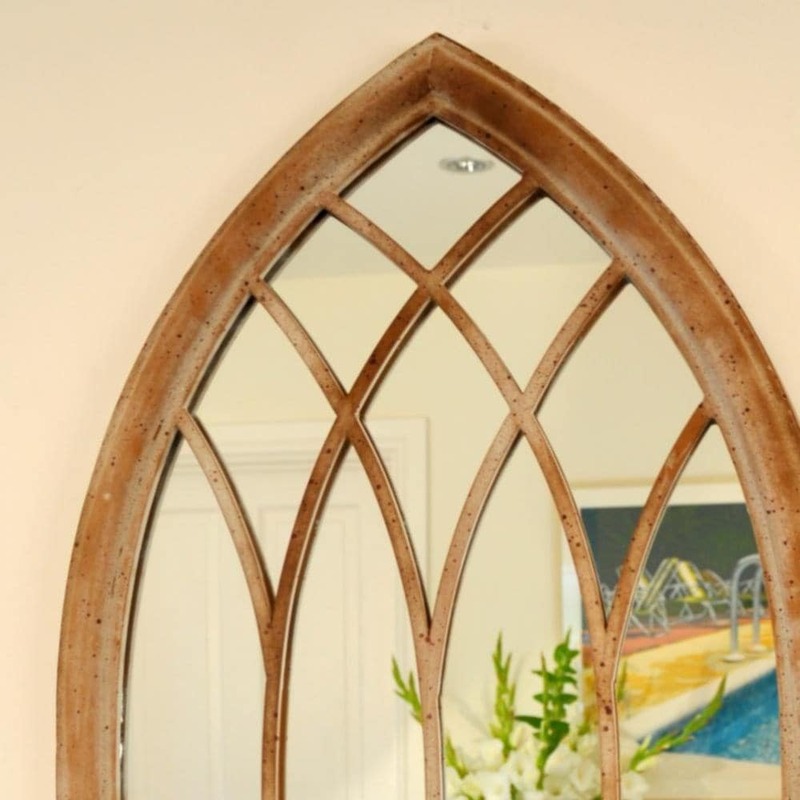 Create the illusion of extra space and add a sense of grandeur with this opulent church window style mirror. Made from durable mild steel with a stone-effect finish, the mirror can be hung indoors or out to add depth to smaller spaces. Perfect for adding dimension to balconies, courtyards, roof terraces, patios or small rooms.